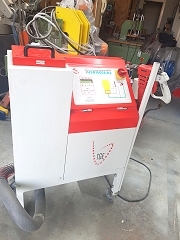 Thermoseal 240 volt hot melt machine, with very clean hose and gun. Complete with 4 blocks of hot melt, all for £2,600 plus VAT. All fully working and in good condition.